Stealth Cam PX18 Combo Game Camera 8 MP - The low light image sensor allows for a 30% brighter night imaging. 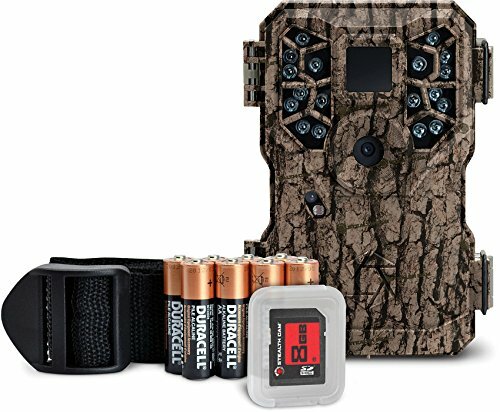 It is a small, effective, game camera that operate just as well at night as during the day. The HD video records lengths of 15 seconds at 16:9 wide ratio. These cameras also feature Reflex Trigger, Matrix Blur Reduction technology, and even active time setting allowing you to set your camera to operate during the hours you prefer. Setting the cameras to burst mode and take 1-6 images per triggering with 5-59 second/ 5-59 minute recovery time out. Each image or video recorded has the date, time, and moon phase, to document animal behavior, habits, and baselines.